Lidl teases its competitors with an outdoor campaign in which rivals' ads appear to be sabotaged. 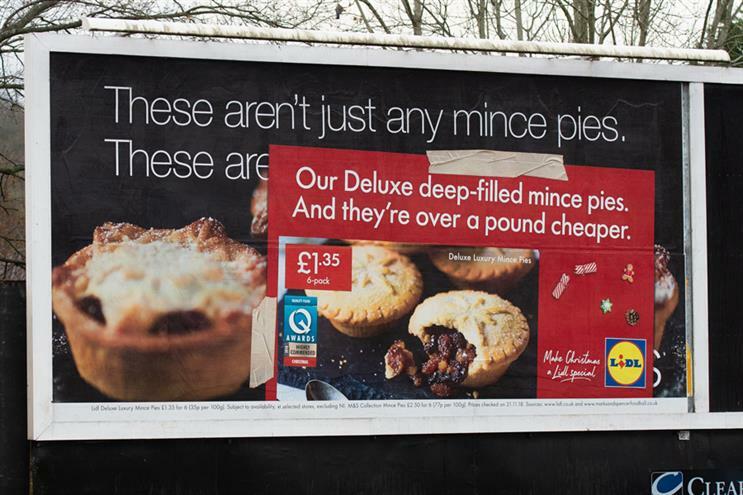 The discount supermarket has launched posters by TBWA\London that show ads for Waitrose and Marks & Spencer being obscured by Lidl’s own execution that boasts about cheaper mince pies and Christmas puddings. The work was written by Geoff Smith and art directed by Simon Morris.